Our farm is based in the beautiful rolling Green Mountains of Vermont. Happy Acres Farm produces some of the finest natural, pure Vermont maple syrup available, right here in our very own sugarhouse. We also create wonderful jams, with flavors including blueberry, strawberry rhubarb and more. 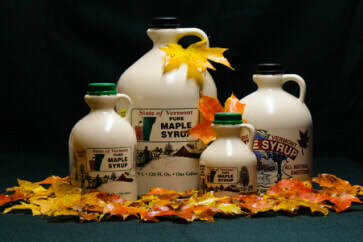 And we have successfully shipped our fresh maple syrup products and jams to all 50 states within the USA. We make our maple syrup the old fashioned way without the use of reverse osmosis. All of our sap is boiled with a wood fired evaporator. 826 Twenty Mile Stream Rd.